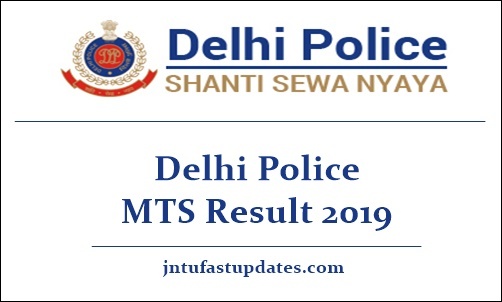 Delhi Police MTS Result 2019: Delhi Police Recruitment Board conducted the written test for Multi tasking Staff (MTS) posts from 17th December 2018 to 9th January 2019 in various dates. The examination has been conducted in a large number of examination centers across Delhi. A large number of hopefuls have competed for Delhi Police MTS examination this year. The organization conducted the Delhi Police MTS written test with the best measures. Thousands of hopefuls appeared for Delhi Police MTS examination this year. Delhi Police Recruitment Board has released the answer keys for the Delhi Police MTS examination. Hopefuls competed for the exams can check the answer sheet by visiting the Delhi Police MTS official website, delhipolice.nic.in. Candidates competed for Delhi MTS posts need to wait for few more days to download the result. Soon, the organization will reveal the results, cutoff marks, and merit list of Delhi Police MTS posts. Delhi Police Recruitment Board released the official notification for 707 multitasking staff posts. The organization accepted applications from eligible and interested aspirants. This year a large number of candidates have applied for the Delhi Police MTS posts during the application dates in 2018. Scrutinizing of candidates will be done through merit. Candidates have to qualify the written test, skill test, and interview rounds with good merit to get the MTS posts in Delhi Police Recruitment Board. Candidates will get a good pay scale after they recruited to the MTS posts. After the Written Test, four times the number of vacancies in each category i.e. General, OBC, SC, ST, Ex-Serviceman and Persons with Disabilities in their respective category in order of merit and preference(s) exercised by the candidates at the time of applying for the posts will be qualified for appearing in the Trade Test of qualifying nature. In case there are a large number of candidates on cutoff marks, all candidates of that cutoff for the relevant category will be called for the Trade Test. However, the candidates who secure less than 40% marks in Written Test will not be eligible for the said test. Candidates are advised to exercise preference(s) in Application Form carefully while applying. The order of options/ preference(s) exercised by the candidates at the time of applying for the posts will be treated as FINAL and IRREVERSIBLE. Subsequent request for change of preference(s) will not be entertained under any circumstances/ reasons. All the competitors who have appeared for the Delhi Police MTS written test from 17th December 2018 to 9th January 2019 can check the Delhi Police MTS result soon. The organization is expected to release in the month of February 2019 [tentatively]. The result will be available to release of Delhi Police official website, delhipolice.nic.in. The result is likely to release after 3 to 4 weeks of the examination. Hence the hopefuls can stay checking the official website on a frequent basis to download the result. Delhi Police Recruitment Board will announce the MTS cutoff marks category-wise and section-wise. Aspirants have to qualify the MTS written test with the announced cutoff marks to select for the next round. Delhi Police Recruitment board will announce the merit list of selected candidates. Candidates competed for the Delhi police MTS exam can check the cutoff marks, merit list along with the result.